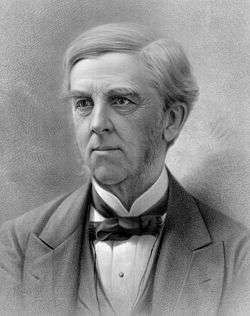 Oliver Wendell Holmes Sr. (August 29, 1809 – October 7, 1894) was an American polymath based in Boston. A member of the Fireside Poets, his peers acclaimed him as one of the best writers of the day. His most famous prose works are the "Breakfast-Table" series, which began with The Autocrat of the Breakfast-Table (1858). He was also an important medical reformer. In addition to his work as an author and poet, Holmes also served as a physician, professor, lecturer, and inventor, and although he never practiced it, he received formal training in law. Born in Cambridge, Massachusetts, Holmes was educated at Phillips Academy and Harvard College. After graduating from Harvard in 1829, he briefly studied law before turning to the medical profession. He began writing poetry at an early age; one of his most famous works, "Old Ironsides", was published in 1830 and was influential in the eventual preservation of the USS Constitution. Following training at the prestigious medical schools of Paris, Holmes was granted his M.D. from Harvard Medical School in 1836. He taught at Dartmouth Medical School before returning to teach at Harvard and, for a time, served as dean there. During his long professorship, he became an advocate for various medical reforms and notably posited the controversial idea that doctors were capable of carrying puerperal fever from patient to patient. Holmes retired from Harvard in 1882 and continued writing poetry, novels and essays until his death in 1894. Surrounded by Boston's literary elite—which included friends such as Ralph Waldo Emerson, Henry Wadsworth Longfellow, and James Russell Lowell—Holmes made an indelible imprint on the literary world of the 19th century. Many of his works were published in The Atlantic Monthly, a magazine that he named. For his literary achievements and other accomplishments, he was awarded numerous honorary degrees from universities around the world. Holmes's writing often commemorated his native Boston area, and much of it was meant to be humorous or conversational. Some of his medical writings, notably his 1843 essay regarding the contagiousness of puerperal fever, were considered innovative for their time. He was often called upon to issue occasional poetry, or poems written specifically for an event, including many occasions at Harvard. Holmes also popularized several terms, including "Boston Brahmin" and "anesthesia". 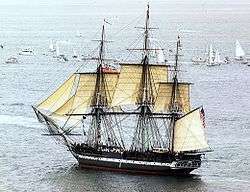 In September of that same year, Holmes read a short article in the Boston Daily Advertiser about the renowned 18th century frigate USS Constitution, which was to be dismantled by the Navy. Holmes was moved to write "Old Ironsides" in opposition of the ship's scrapping. The patriotic poem was published in the Advertiser the very next day and was soon printed by papers in New York, Philadelphia and Washington. It not only brought the author immediate national attention, but the three-stanza poem also generated enough public sentiment that the historic ship was preserved. At the hospital of La Pitié, he studied under internal pathologist Pierre Charles Alexandre Louis, who demonstrated the ineffectiveness of bloodletting, which had been a mainstay of medical practice since antiquity. Dr. Louis was one of the fathers of the méthode expectante, a therapeutic doctrine that states the physician's role is to do everything possible to aid nature in the process of disease recovery, and to do nothing to hinder this natural process. Upon his return to Boston, Holmes became one of the country's leading proponents of the méthode expectante. Holmes was awarded his M.D. from Harvard in 1836; he wrote his dissertation on acute pericarditis. His first collection of poetry was published later that year, but Holmes, ready to begin his medical career, wrote it off as a one-time event. 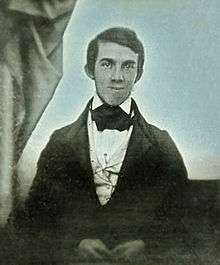 In the book's introduction, he mused: "Already engaged in other duties, it has been with some effort that I have found time to adjust my own mantle; and I now willingly retire to more quiet labors, which, if less exciting, are more certain to be acknowledged as useful and received with gratitude". After graduation, Holmes quickly became a fixture in the local medical scene by joining the Massachusetts Medical Society, the Boston Medical Society, and the Boston Society for Medical Improvement — an organization composed of young, Paris-trained doctors. He also gained a greater reputation after winning Harvard Medical School's prestigious Boylston Prize, for which he submitted a paper on the benefits of using the stethoscope, a device with which many American doctors were not familiar. In 1846, Holmes coined the word "anesthesia". In a letter to dentist William T. G. Morton, the first practitioner to publicly demonstrate the use of ether during surgery, he wrote: "Everybody wants to have a hand in a great discovery. All I will do is to give a hint or two as to names—or the name—to be applied to the state produced and the agent. The state should, I think, be called 'Anaesthesia.' This signifies insensibility—more particularly ... to objects of touch." Holmes predicted his new term "will be repeated by the tongues of every civilized race of mankind." 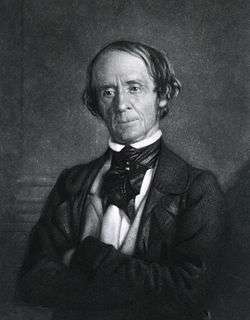 In 1847, Holmes was hired as Parkman Professor of Anatomy and Physiology at Harvard Medical School, where he served as dean until 1853 and taught until 1882. Soon after his appointment, Holmes was criticized by the all-male student body for considering granting admission to a woman named Harriot Kezia Hunt. Facing opposition not only from students but also from university overseers and other faculty members, she was asked to withdraw her application. Harvard Medical School would not admit a woman until 1945. Holmes's training in Paris led him to teach his students the importance of anatomico-pathological basis of disease, and that "no doctrine of prayer or special providence is to be his excuse for not looking straight at secondary causes." Students were fond of Holmes, to whom they referred as "Uncle Oliver". One teaching assistant recalled: "He enters [the classroom] and is greeted by a mighty shout and stamp of applause. Then silence, and there begins a charming hour of description, analysis, anecdote, harmless pun, which clothes the dry bones with poetic imagery, enlivens a hard and fatiguing day with humor, and brightens to the tired listener the details for difficult though interesting study." While serving as dean in 1850, Holmes became a witness for both the defense and prosecution during the notorious Parkman-Webster murder case. Both George Parkman (the victim), a local physician and wealthy benefactor, and John Webster (the assailant) were graduates of Harvard, and Webster was professor of chemistry at the Medical School during the time of the highly publicized murder. He was convicted and hanged. Holmes dedicated his November 1850 introductory lecture at the Medical School to Parkman's memory. Suffering from exhaustion, and mourning the sudden death of his youngest son, Holmes began postponing his writing and social engagements. In late 1884, he embarked on a visit to Europe with his daughter Amelia. In Great Britain he met with writers such as Henry James, George du Maurier and Alfred Tennyson, and was awarded a doctor of letters degree (D.Litt.) from Cambridge University, a doctor of laws (LL.D.) from Edinburgh University, and a third honorary degree from Oxford. Holmes and Amelia then visited Paris, a place that had significantly influenced him in his earlier years. He met with chemist and microbiologist Louis Pasteur, whose previous studies in germ theory had helped reduce the mortality rate of women suffering from puerperal fever. Holmes considered the Frenchman to be "one of the truest benefactors of his race". Upon his return to the United States, Holmes published a travelogue entitled Our One Hundred Days in Europe. 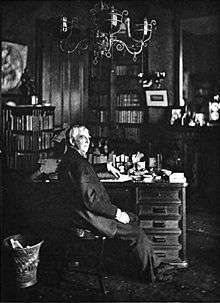 Towards the end of his life, Holmes noted that he had outlived most of his friends, including Emerson, Henry Wadsworth Longfellow, James Russell Lowell, and Nathaniel Hawthorne. As he said, "I feel like my own survivor... We were on deck together as we began the voyage of life... Then the craft which held us began going to pieces." His last public appearance was at a reception for the National Education Association in Boston on February 23, 1893, where he presented the poem "To the Teachers of America". A month later, Holmes wrote to Harvard president Charles William Eliot that the university should consider adopting the honorary doctor of letters degree and offer one to Samuel Francis Smith, though one was never issued. Holmes referred to his novels as "medicated novels". Some critics believe that these works were innovative in exploring theories of Sigmund Freud and other emerging psychiatrists and psychologists. The Guardian Angel, for example, explores mental health and repressed memory, and Holmes uses the concept of the unconscious mind throughout his works. A Mortal Antipathy depicts a character whose phobias are rooted in psychic trauma, later cured by shock therapy. Holmes's novels were not critically successful during his lifetime. 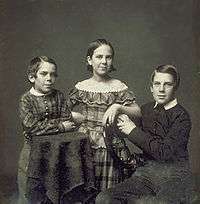 As psychiatrist Clarence P. Oberndorf, author of The Psychiatric Novels of Oliver Wendell Holmes, states, the three works are "poor fiction when judged by modern criteria.... Their plots are simple, almost juvenile and, in two of them, the reader is not disappointed in the customary thwarting of the villain and the coming of true love to its own". Holmes was well respected by his peers, and garnered a large, international following throughout his long life. Particularly noted for his intelligence, he was named by American theologian Henry James Sr. "intellectually the most alive man I ever knew". Critic John G. Palfrey also praised Holmes, referring to him as "a man of genius... His manner is entirely his own, manly and unaffected; generally easy and playful, and sinking at times into 'a most humorous sadness'". On the other hand, critics S. I. Hayakawa and Howard Mumford Jones argued that Holmes was "distinctly an amateur in letters. His literary writings, on the whole, are partly the leisure-born meditations of a physician, partly a means of spreading certain items of professional propaganda, partly a distillation of his social life." Like Samuel Johnson in 18th century England, Holmes was noted for his conversational powers in both his life and literary output. Though he was popular at the national level, Holmes promoted Boston culture and often wrote from a Boston-centric point of view, believing the city was "the thinking centre of the continent, and therefore of the planet". He is often referred to as a Boston Brahmin, a term that he created while referring to the oldest families in the Boston area. The term, as he used it, referred not only to members of a good family but also implied intellectualism. He also famously nicknamed Emerson's The American Scholar as the American "intellectual Declaration of Independence". 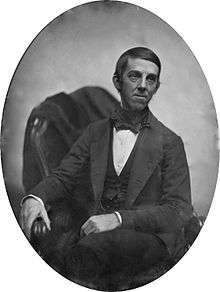 Wendell, North Carolina, a town named after Oliver Wendell Holmes Sr.
↑ Catalogue of the Officers and Members of the Hasty-Pudding Club in Harvard University. Cambridge, MA: Metcalf and Company, 1846: 48. ↑ Louis' findings on the subject were published as Recherches sur les effets de la saignée dan quelques maladies inflammatoires, et sur l'action de l'émétique et des vésicatoires dans la pneumonie. Paris: J-B Ballière, 1835. ↑ Blough, Barbara; Dana Cook Grossman. "Two Hundred Years of Medicine at Dartmouth". Dartmouth Medical School. Retrieved December 21, 2007. ↑ "Book of Members, 1780–2010: Chapter A" (PDF). American Academy of Arts and Sciences. Retrieved April 16, 2011. ↑ Holmes, Oliver Wendell. Homœopathy, and its Kindred Delusions; two lectures delivered before the Boston society for the diffusion of useful knowledge. Boston: William D. Ticknor, 1842. ↑ Meigs, Charles Delucena. On the Nature, Signs, and Treatment of Childbed Fevers. Philadelphia: Blanchard and Lea, 1854: 104. ↑ Miller, Edwin Haviland. Salem Is My Dwelling Place: A Life of Nathaniel Hawthorne. Iowa City: University of Iowa Press, 1991:307–308. ISBN 0-87745-381-0. ↑ Holmes, Oliver Wendell (March 1952). 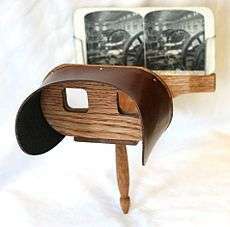 "The American Stereoscope" (PDF). Image: Journal of Photography of the George Eastman House. Rochester, NY. 1 (3). Retrieved April 11, 2009. ↑ Arvin, Newton. Longfellow: His Life and Work. Boston: Little, Brown and Company, 1963: 140. ↑ Calhoun, Charles C. Longfellow: A Rediscovered Life. Boston: Beacon Press, 2004: 236. ISBN 0-8070-7026-2. ↑ Irmscher, Christoph. Longfellow Redux. University of Illinois, 2006: 263. ISBN 978-0-252-03063-5. ↑ Calhoun, Charles C. Longfellow: A Rediscovered Life. Boston: Beacon Press, 2004: 258. ISBN 0-8070-7026-2. ↑ Duncan Campbell (1908). Hymns and Hymn Makers. A. &. C. Black. p. 170. ↑ Crowe, Charles. George Ripley: Transcendentalist and Utopian Socialist. Athens, GA: University of Georgia Press, 1967: 247. ↑ Arvin, Newton. Longfellow: His Life and Work. Boston: Little, Brown and Company, 1963: 321. ↑ "Dr. Oliver Wendell Holmes OWH Library at Phillips Academy Andover". Oliver Wendell Holmes Library. Retrieved May 6, 2009. Wikimedia Commons has media related to Oliver Wendell Holmes Sr..
Stephen, Leslie (1898). 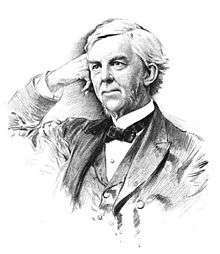 "Oliver Wendell Holmes". Studies of a Biographer. 2. London: Duckworth and Co.